The historic Hanalei Hotel in San Diego has been sold to new owners, who have not said much… but have said that they intend to “make significant renovations” to the property. The hotel was sold by Hanalei Associates, which had owned the property since 1996, to a private client of Brighton Management, a hotel management group. The hotel will continue to operate under the Crowne Plaza brand after changing hands. I’ve not yet seen any report that includes any dates, for either the official change of hands, or any changes to start happening on site. The first question in everyone’s minds will surely be: what does the future hold for the remaining tiki theming on the property? While there has been a long, slow slide from its glory days of Polynesian splendor, the tower’s atrium still has beautiful gardens, and holds many artifacts originally from Stephen Crane’s Luau in Beverly Hills. The Islands Restaurant at the Hanalei already had its Polynesian decor ripped out in a horrible 2006 renovation, that decision was made at the behest of the Crowne Plaza organization. It’s entirely possible that the new owners could take a page from the Disney renovation of the Polynesian Village Resort, and make changes intended to increase revenue while still preserving the Hanalei’s unique and historically interesting elements. There’s certainly no shortage of craftspeople in the area who could participate in making that happen. Or it could be that these “substantial renovations” will focus on the room interiors and conference space, and leave the themed areas of the hotel untouched. The realist in me fears for a more watered-down hotel. The second question: what does this mean for Tiki Oasis? The world’s largest tiki event has been happening at the hotel since 2006; before that it had been at the much smaller Caliente Tropics in Palm Springs. The next Tiki Oasis is already booked at the Crowne Plaza Hanalei Hotel for August 2017, and the hotel’s management has assured Tiki Oasis’ organizers, Otto and Baby Doe Von Stroheim, that no changes will happen before next year’s event (which makes sense: changes take time, and any renovation plans are likely only in the very earliest stages). 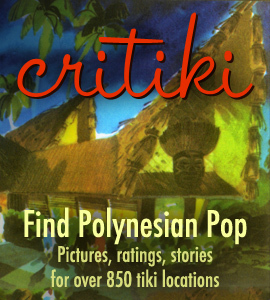 The hotel’s relationship with Tiki Oasis has been going for over ten years, and has been a happy one on both sides. Hopefully the new owners will like having a solid annual sell-out they can count on.